Preeta came to the dance hall.All were stunned. Rudra:Preeta…you are supposed to take rest.Right?Then what are you doing here? Preeta:I just came to see how Anika dances…whether she is better than me. Omkara:What is this Preeta’s intention? Preeta:Anika..can I see your dance? Anika started dancing.Preeta danced along with her. All of them clapped hands. Preeta smiled painfully:I know that you don’t want to hurt me by saying that Anika danced better than me. Shivay:Nothing like that Preeta.Like I told you before you both are perfect in different ways. Preeta smiled slightly.She looked at Anika:You were too good Anika.I myself felt that you are better than me in dancing. Anika:But i loved your dance more Preeta. Preeta smiled:You know..I used to tell Shivay that he cannot get a better dancer than me in his troupe.I was wrong.Finally Shivay got the best dancer in the world.And I am happy about that. Preeta:Sorry for troubling you Anika. Anika:No Preeta.You did’nt trouble me at all. Sarla made Preeta sit on the bed. Sarla:I told you to take rest.But you went and danced.How could you Preeta?You are not bothered about your health. Sarla:Shivay…how did you let Preeta dance even after knowing her health condition? Shivay:I am sorry aunty.But you know that Preeta is so stubborn that she does’nt listen to any of us. Sarla:Ya..I know.This girl is impossible. Shivay looked at Preeta:Preeta..what did you do?Was it necessary to exert yourself like this?We all know your capability.You did’nt have to prove it by comparing yourself with Anika. Preeta:I understand Shivay.You know Shivay…while we both were dancing I saw your eyes lost in Anika. Shivay:You started again.Nothing like that Preeta. Preeta:It’s like that Shivay.You are a duffer that you did’nt realize it.But I know you since childhood.So I know your feelings more than you.I saw love in your eyes for Anika. Shivay was stunned:Preeta!Your tongue is so loose that you are saying anything. Preeta:You deny it or not the truth is that you have started loving Anika unknowingly.One day you will realize it. Preeta smiled:You fool!You better understand it soon. Shivay Anika were rehearsing dance. Seeing Anika dancing Shivay came back to senses. He blushed thinking:I love Anika. She came back to senses seeing Shivay dance. She was embarrassed thinking:How could I think like this about Shivay? Shivay gave a gift box to Anika. Shivay:This is for you Anika. Anika was surprised:Gift for me?But why? Shivay:Simply.I like giving gifts to others and you are our main female dancer..in fact the saviour of our troupe. 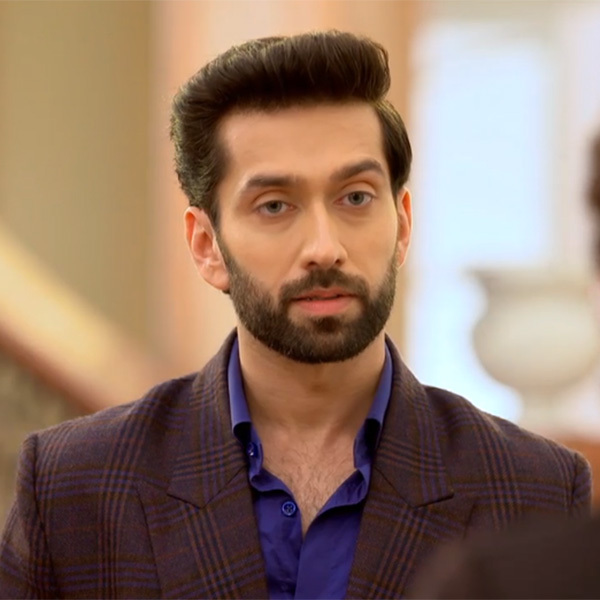 Shivay:Seriously Anika…if you had’nt helped us on time by joining our team we don’t know how our condition would have been. Shivay:And now you are my dearest friend too.That’s why this gift. Anika:That’s so sweet of you Shivay. and took out a perfume from there. Anika:Wow…my favourite brand.I love perfumes.Thank you so much Shivay. She embraced him in happiness. Shivay smiled and embraced her back.Anika came back to senses and moved backward. Shivay:It’s ok Anika.We are close friends.Right?So is this a big deal? 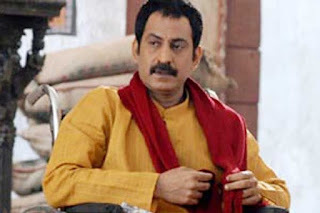 Seeing Preeta Karan went near her. Karan:How is your health now? Preeta:I am feeling much better now.I can walk.But i can’t exert much. Karan:Anyways you are able to walk now.That’s more important. Preeta tried to walk away.But her duppatta got stuck onto Karan’s watch. Karan tried to remove it from his watch.By mistake while pulling the duppatta from the watch Preeta bumped into his chest. Karan looked at her.She looked at his face.Unknowingly their eyes locked onto each others. They broke the eye lock shyly.Karan removed the duppatta from his watch. Preeta:Thank you and sorry for troubling. They both posed for photographs. Soumya blushed:Thank you and you are also looking dashing. Anika realized that her anklet was missing.She was searching for it in the ground. Shivay:Are you searching for your anklet? He showed her the anklet in his hand. Anika became happy:Thank God..you got it.This anklet is very special for me as it’s my late mother’s anklet. Anika:Give it to me Shivay. Shivay:Come closer and take it. Anika went near him:Give it. 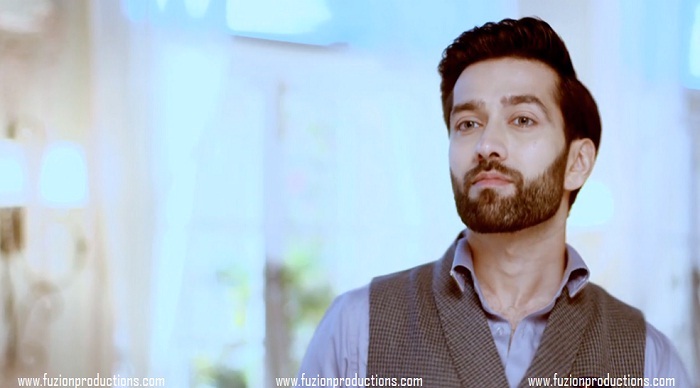 Anika:Shivay…stop joking.How can I come more closer to you? Shivay:Like this you can come closer to me. He leaned towards her lips with his lips.She closed her eyes in that intense moment. Suddenly coming back to senses Anika moved backward.She was upset.Shivay was also feeling awkward. Anika was silent and upset. Shivay went near her:Anika..sit.I will make you wear your anklet. Anika sat on the chair.Shivay tied the anklet around her foot. They were shy to face each other.Suddenly they heard music from the party hall and went there. Preeta:The best dancing couple of our troupe Shivay and Anika dance. Shivay and Anika nodded ‘no’. Preeta:How can you both not dance for our best friend NK’s engagement function?Come and dance. Preeta pulled them to the dance floor and played a romantic song purposefully. Shivay Anika danced passionately forgetting themselves. Karan imagined dancing with Preeta. Shivay Anika rocked the dance floor with their sensational performance. Shashi Garima became dull.Shashi:I find it strange seeing the way Anika is dancing with Shivay. Garima:Did we take a wrong decision by trying to unite Karan and Anika?Does Anika love Shivay? Shashi:Whatever it is…what is going to happen should be for the best. Gauri asked Karan:Karan bhai….are you feeling bad seeing Anika dancing with Shivay? Karan:Not at all.Why should I feel bad? Karan:Jealous?Why should I be jealous?You silly girl. Karan was lost for words. Karan thought:I don’t know what to answer as I myself don’t know whether I love Anika or not. Suddenly his eyes fell on Preeta. Gauri:Bhai…Gauri noticed Karan looking at Preeta. Gauri:Tell me bhai.Whom do you love?Anika or Preeta? Sorry cant write in detail quite busy now…? Amazing as always..and pics are just awesome..Ending part was shocking..will be waiting for the next..
omg , preeta felt really sad when she said to anika that her dance was better . sad to see this. preeran scene was very nice . karan is himself confused whether he loves anika or preeta , hope he realizes and confesses his feelings to preeta . shivika scenes were beautiful and romantic . 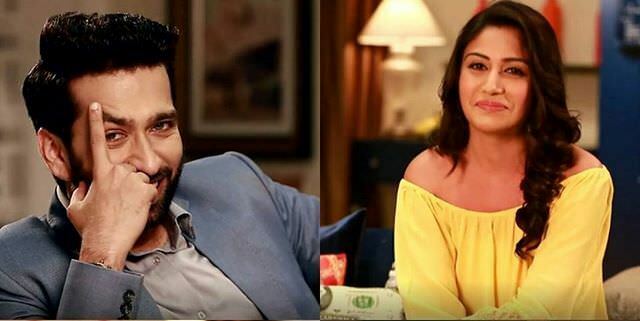 Oh Garima and Karan’s moment are suspecting Shivika…Karan & Gauri’s convo was shocking…? oh ya. .I never edit my song lyrics after replacing names.in first chapter though I found such errors in song I was lazy to change it.i ignore song lyrics.? you have written karan’s moment are suspecting. did you mean karan’s dad? now since you read it properly did you find it emotional ? Nope it wasnt emotional but happening ? Overall a pleasant episode with sweet Pics…? ?